It seems Samsung is taking dual SIM platform in high end smartphone pretty seriously. They are only leading mobile phone manufactures releasing Android dual SIM Android phones regularly. Earlier Samsung released dual SIM version of Samsung galaxy Ace in India with one GSM SIM and one CDAM SIM. But now they are releasing its worldwide version with two GSM SIM model. 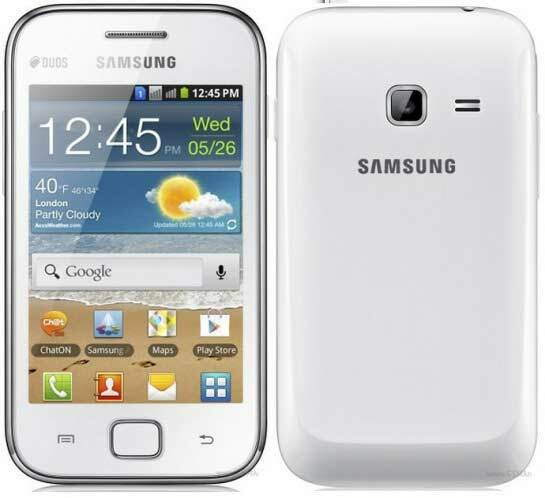 The Galaxy Ace Duos comes with Samsung’s proprietary ‘Dual SIM always on’ feature, which automatically forwards calls from SIM 2 to the SIM 1 when when the user is talking on SIM 1, meaning there are no calls missed calls. The Samsung Galaxy Ace Duos has a a 3.5” HVGA 320x480px LCD screen, 5 megapixel camera which is capable of VGA video recording. There is a 832MHz processor and 512MB RAM inside of Galaxy Ace Duos. It runs by Android 2.3 Gingerbread. Update to Android 4.0 Ice Cream Sandwich is not possible to this set because of its low specs. The user-available on-board storage space is supposedly 3GB with a microSD slot. The battery on this one is mere 1,300 mAh. The new dual SIM variety of the Galaxy Ace Duos is as slim as the original Galaxy Ace and it's less than 10g heavier. The Galaxy Ace Duos will launch first in Russia this June but it will later roll out to the rest of Europe, CIS, Latin America, Southeast and Southwest Asia, Middle East, Africa, and China. We can expect around $250 price range for this Dual SIM android. Read the official Press Release from Samsung to know all the details about Ace Duos. Seoul, KOREA—May 24, 2012—Samsung Electronics Co., Ltd, a global leader in digital media and digital convergence technologies, today announced the new Samsung GALAXY Ace. Designed for users with active lifestyles who don’t compromise on style or convenience, the GALAXY Ace DUOS will be available from June starting in Russia and gradually rolled out to Europe, CIS, Latin America, Southeast and Southwest Asia, Middle East, Africa, and China. The GALAXY Ace DUOS’s Dual SIM system maximizes communication flexibility by allowing users to manage two separate phone numbers on one smartphone. Samsung’s unique ‘Dual SIM always on’ feature automatically forwards calls from the phone number on SIM 2, even if a user is on the phone with SIM 1’s number. This ensures that a user can always manage their work and personal lives and never miss a call. The GALAXY Ace DUOS builds on the GALAXY Ace’s style heritage. Sleek, compact, and ultra-modern, this is a device that complements the style. It encases a 3.5’’ touch screen that lets users view messages, multimedia, and Web content and scores high on performance. HSDPA 7.2 connectivity delivers enhanced browsing performance and fast content downloads with minimal lag-times, so users can balance personal and professional tasks with ease. Additionally, users can take advantage of the integrated 5MP camera to take and share stunning photos and videos. In addition to its power and connectivity features, the GALAXY Ace DUOS delivers the rich, intuitive smartphone experience that users have come to expect from GALAXY devices. Samsung’s Touchwiz user interface lets users navigate the phone easily and fluidly. A 3GB of storage ensures users can comfortably store videos, music, and images on the go. And ChatON, Samsung’s communication service that connects users on any phone platform into a single community, ensures users are always connected with the content and contacts that matter.